When people ask me about my choice of Valencia, I often respond with lots of flowery descriptions and commentary. It’s the lifestyle, the people, the food, the variety of new places to visit. Really, it isn’t just one of these things or even all of them. When I am in Valencia, I am acutely aware of the ways that I personally change, and many of those changes make me healthier in body and mind. 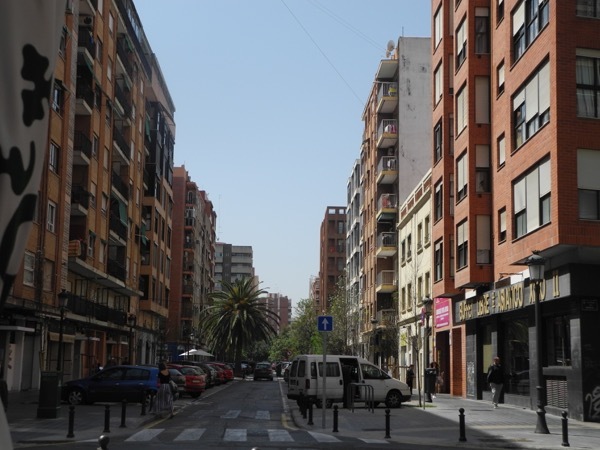 For example, one of the most immediate changes is the amount of walking that I do in Valencia. Sure, there were days I didn’t go far, but my average number of steps was somewhere between 13,000 to 15,000 steps a day in Valencia. The week of April 23-29, I logged 123,414 steps! 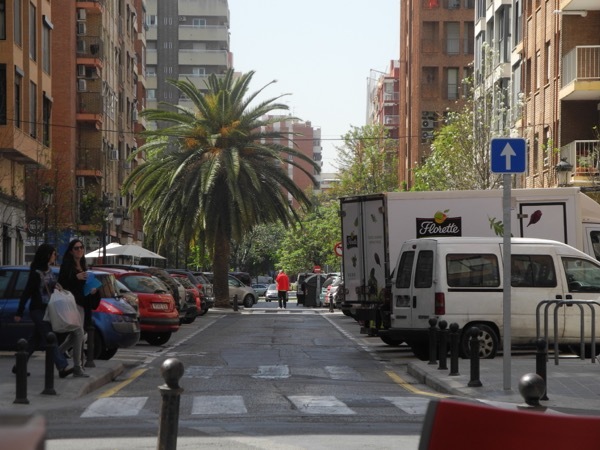 Of course, walking as primary transportation was going to play a significant role in getting about the city, but Valencia is a very, very walkable city. 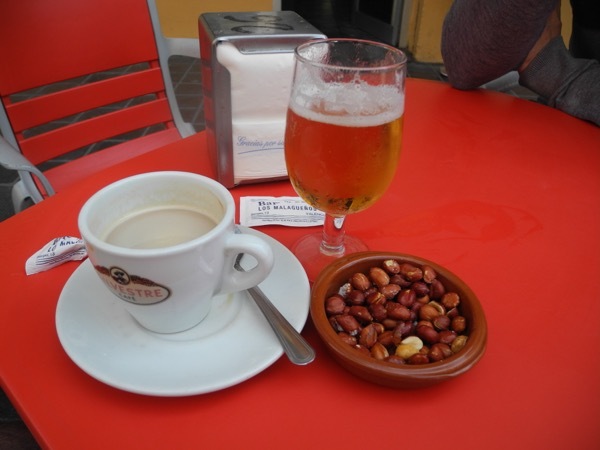 One afternoon, we were meeting a friend for lunch in the Xúquer area of Valencia, which is a somewhat trendy neighborhood that reflects a college-student meets neighborhood meets family zone. There are multiple restaurants here with quite a bit of variety, from typical neighborhood bars to upscale and unique dining. On this particular afternoon, the weather was delightful and we were a little early for lunch. What to do? I know! Let’s go for a walk! 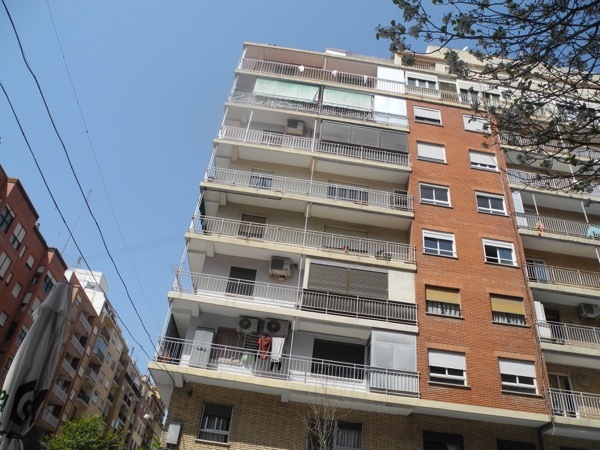 The Xúquer neighborhood is centered around park, and a perfect place to spend some extra minutes. A few pictures (yep, only a few!) later, we were seated at a cafe/bar having a beverage and enjoying the weather. Pictures like these remind me that Valencia changes me to appreciate the differences, and similarities, of life in the US to life in Spain. What a joy it is to read your blog posts about Valencia again! Many thanks. Hey! Thanks – I am woefully out of practice for writing like this, and even though it is only a few paragraphs, I feel like I am fumbling my way through it. 🙂 I appreciate the feedback! Congrats on those steps! Puts me to shame, but then I don’t have quite the scenery to walk through….loved reading about your walks, though. So good that you are back in touch! Me, too! I can’t say that it is very easy to get those kind of steps in this area, but it sure was nice to be able to get them while I was on vacation! I hope all is well with you! Can’t wait to get there! Will be brushing up on your blog (and will probably start one of my own).